The largest-ever sale of a National Football League franchise has its roots in a recent U.S. Supreme Court ruling and the #MeToo movement. 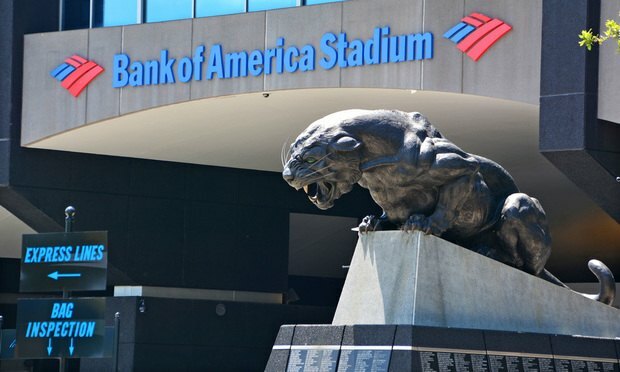 Bank of America Stadium in Charlotte, home of the NFL’s Carolina Panthers. At least three law firms home to some of the best-known legal dealmakers in the sports world have landed lead roles on a $2.2 billion all-cash deal announced Tuesday that will see billionaire hedge fund manager David Tepper take control of the National Football League’s Carolina Panthers.